Action Figure Insider • View topic - What female villains do you want in DC Universe Classics? Talia...as much as I like her, I think she'd be a pretty boring figure. There doesn't seem to be as much visually to do with her. Cheetah!! Hopefully a few different versions if the line lasts long enough. Cheetah! She's like the Wonder Woman of the LOD! But the rest of these are very cool; can't wait for Harley in wave 2. GIGANTA!!!! In a classic outfit. . .so DC Direct can do the modern outfit version, and that way, get two Giganta figures! the Banshee would look very cool, good suggestion. I really want Poison Ivy, but I also want classic Star Sapphire. I voted for the Cheetah, but the naked George Perez version, not the current, "I'm been nekkid for 20+ years, and only now I wear a stereotypical tight black catsuit" crappy version. 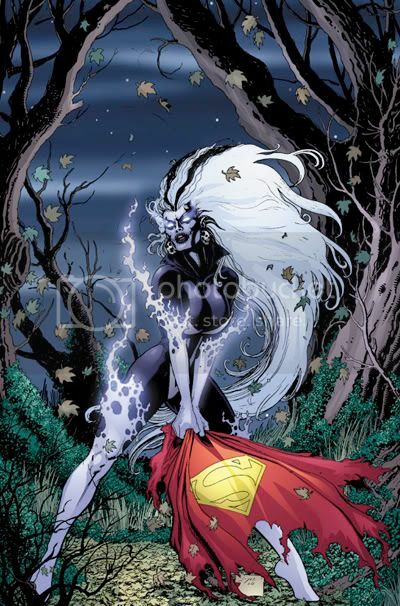 My top picks would be Silver Banshee and Silver Swan. While I want all on the list plus many others, my vote went to Cheetah. There could be a variant or two with all of the different Cheetah's over the years. Poison Ivy would be my second choice, followed by Killer Frost. I really hope we get all of these and many more!